MCK Mike's Country Kitchens is Nova Scotia's largest and most successful cabinet provider. We design, build and install over one thousand kitchens every year. 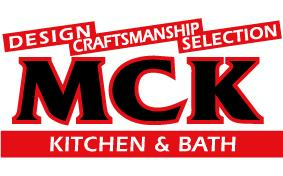 MCK offers free in home consultation, design, quotes and in house financing for your dream kitchen. With thousands of choices in kitchen cabinetry, hardware, and counter tops, Mike's Country Kitchens can design and manufacture a kitchen to fit any budget. We are renovation specialists and new construction experts. We have factory trained installers and service people and are locally owned and operated - Nova Scotians employing Nova Scotians. MCK Mike's County Kitchens is an authorized dealer for Granite and Cambria natural quartz surfaces. We are the winner of the 2011 Consumers Choice Award and we have provided the last fourteen QEII Dream Home Kitchens. Mike's Country Kitchens has the two largest kitchen and bath showrooms in Nova Scotia. Drop by today to discover ideas for your dream kitchen!